The cool breeze started caressing our face when we opened the car window, our eyes popped up seeing the enchanting 180 to 360-degree views of the landscapes around. There was a strong urge to stop every now and then at each spot indefinitely. Such is the real beauty and benefits of road trips. Road trips have always fascinated us. And being road trip lovers, we did an epic 13 day, 3500 km road trip from Delhi to Leh Ladakh. The massive changing landscapes, crowning shaded mountains, and the virgin beauty of Ladakh left us completely stunned. It was a lifetime experience for us to drive on the Srinagar Leh Highway and its beauty is just beyond words. If we tell you to stop at each these places or villages in between, to check the attractions out, we will be absolutely wrong. In fact, the whole journey is a big attraction in itself. There are high altitude passes and glaciers, natural and manmade wonders, centuries-old monasteries. And if you are a photo-bug like us, you will have a strong urge to stop and click pictures at every curve, while traversing on the Srinagar Leh highway. But stopping at each point is just next to impossible. So, here is a brief overlay of what one must visit. We broke our journey from Sonmarg to Leh in two days, to sense and feel the actual beauty of Ladakh. 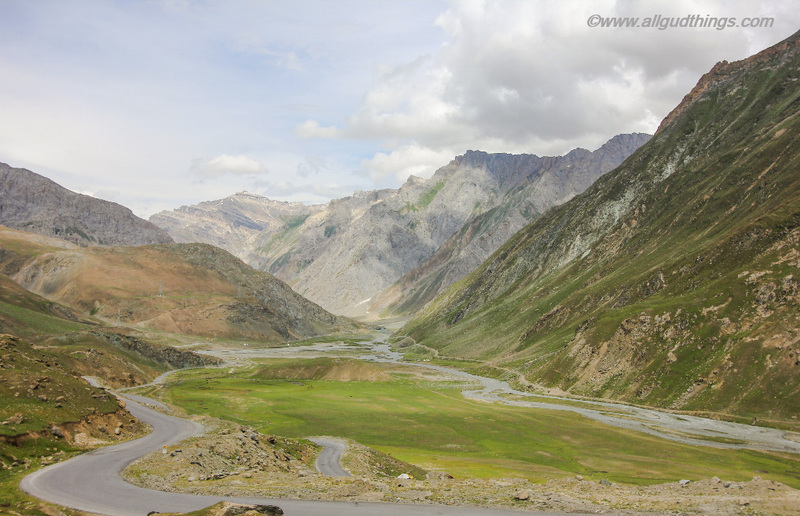 The first day we traveled from Sonamarg to Kargil and second day Kargil to Leh. 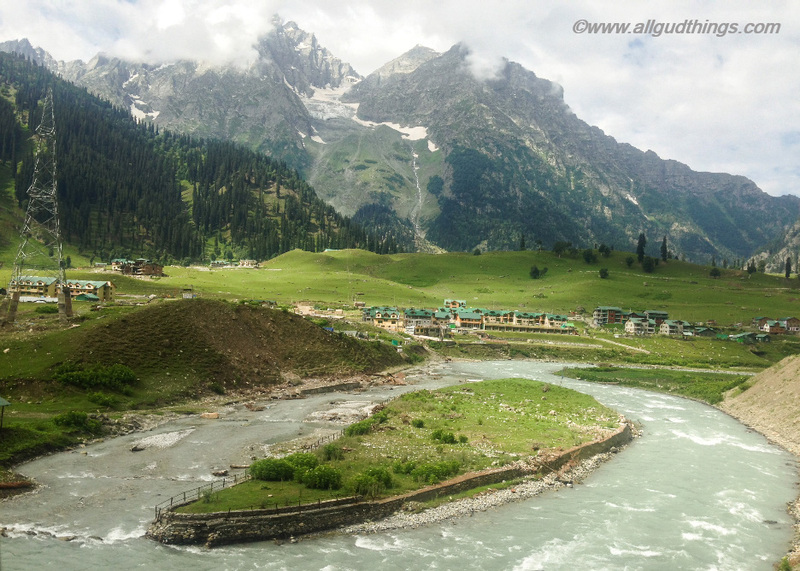 The Thajiwas glacier lies just 7 km away from Sonamarg. The trail offers the splendid views of green and frozen lakes around it. One can climb it by ponies and also try a sledge ride in mid-summer there. The first high altitude pass, Zoji La lies 9 km from Sonamarg and is at an altitude of 11,575 feet. The pass remains covered with snow throughout the year and even in the months of May-August, you can see 8 – 10 feet of snow wall around it. Just a kilometer ahead, there is a snow point where snow never melts and one can enjoy snow games there. 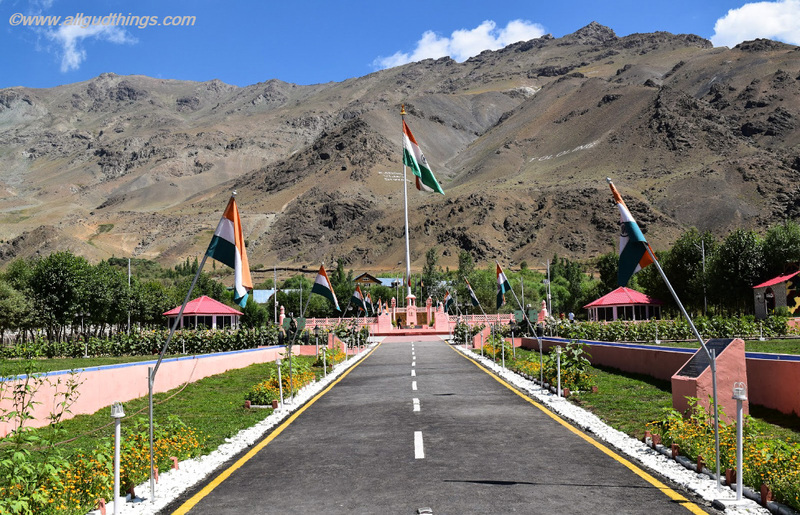 Drass lies 39 km from Zoji La and is famous for the Drass War memorial which is built as a tribute to the martyrs of Kargil war. One gets teary eyed seeing how our brave Indian soldiers fought and laid their lives to sway back our Indian Flag there. Remember to spot the Elephant ridge, Tiger Hill, and Tololing Hill in the backdrop of Drass War Memorial. Also, see Amar Jawan Jyoti and 100’s of memorial stones at Veer Bhumi. 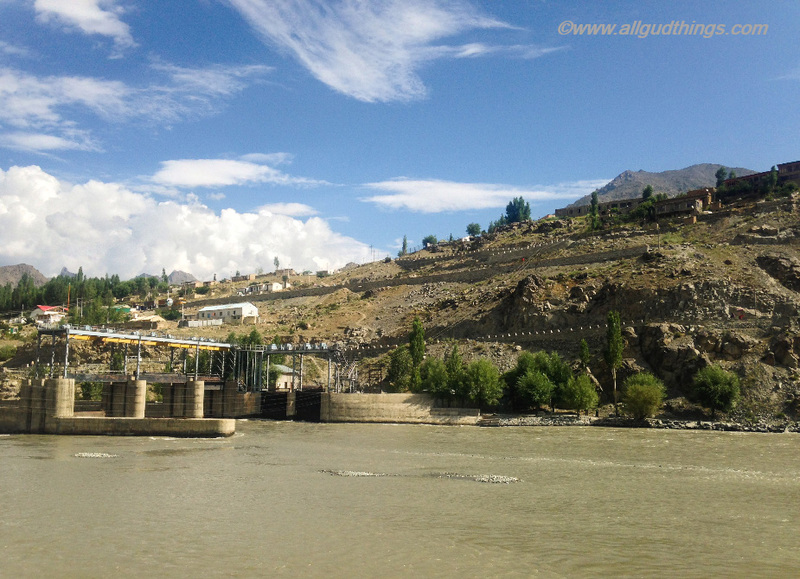 The city Kargil lies 65 km away from Drass and is famous for rich apricot plantations. There are war memorial and the Kargil heritage hut here too. Do visit these to see the traditional and cultural attires and crockery of the various tribes of Ladakh valley. We stayed at Hotel Zojila Residency in Kargil. We must say, the ultimate place to relax and unwind; with the Suru River flowing around it. 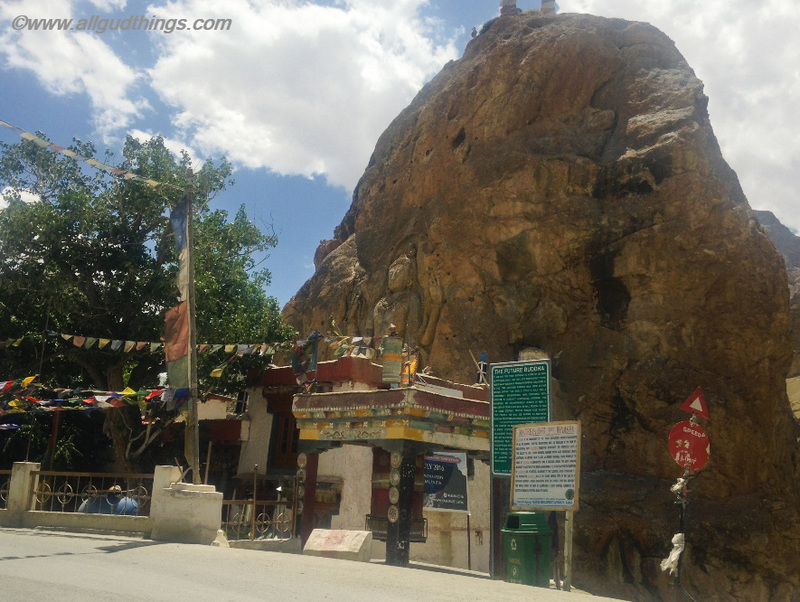 The Mulbekh monastery lays 45 km from Kargil on the Srinagar Leh highway. It is famous for the 7th-century old carved statue of Lord Buddha. This Maitreya Buddha sculpture is 9 meters tall and is believed to be the former Buddha. Just 16 km ahead to Mulbekh, lays the second highest pass, Namika La. It is at an altitude of 12139 feet and is known as the “Pillar of the sky pass”. There is a pillar-like object rising towards the sky at the pass. Fotu La, one of the most picturesque pass, lies at an altitude of 13,478 feet and is 36 km from Namika La. This pass too has relay station of Bharat Prasar. 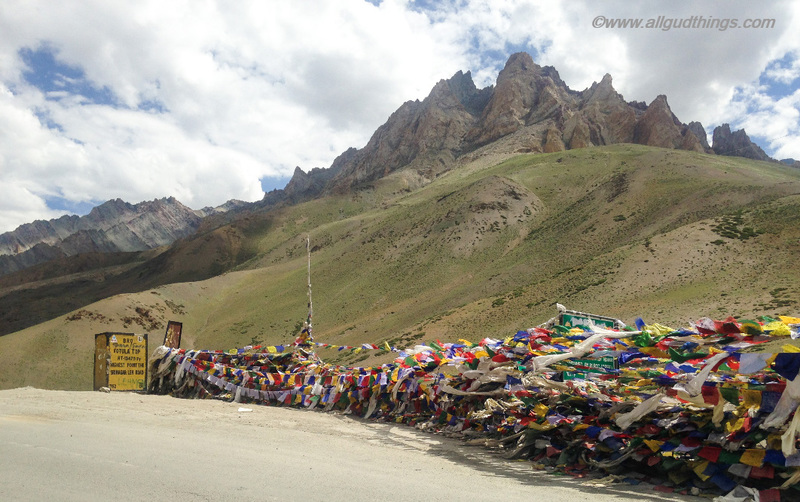 To read more check Ladakh – the Land of High Passes. After descending14 km from Fotu La and we reached the most scenic surreal village, Lamayuru. The village is known for its absurd landscapes i.e. moon land and centuries-old Lamayuru Monastery. These bizarre Landscapes resemble the lunar landscape of moon; hence named as Lamayuru moon lands. Locals too say they shine extraordinarily during the full moon nights. For best views of moon lands, one can climb the meditation hill. The whitewashed monastery on the hilltop amidst these lunar landscapes is one of the largest and oldest Gompas of the region. The foundation stone of the Gompa was laid back in 10th century by Mahasiddhacharya Naropa, after drying up the lake in the valley. The Monastery is still a house to almost 150 monks and is famous for the dance masked festival. 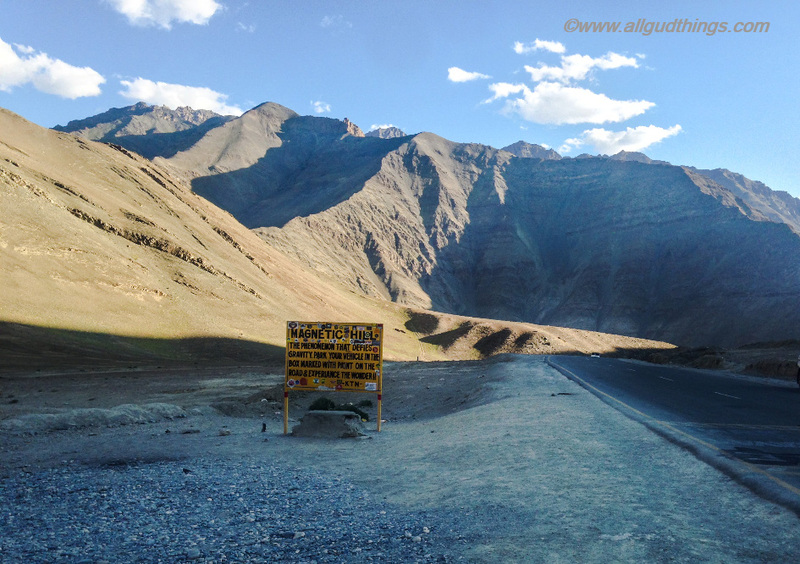 Gravity Hill or Magnetic Hill in Ladakh is a perfect example of Optical Illusion. 30 km from Leh there is a stretch of the Srinagar Leh highway itself, where the surrounding slopes and valley layout gives an impression that the downhill road is actually an uphill road. Most of the people are aware of the fact, but still, hey fascinate to turn off their car engines and leave them in neutral, to see their cars moving. Even we stopped our car here to experience it, no less than others. 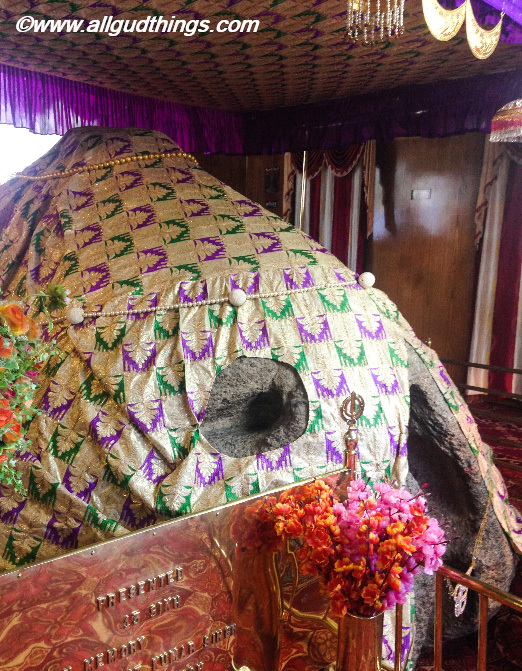 The Gurudwara Pathar Sahib is a beautiful shrine 25 km before Leh. 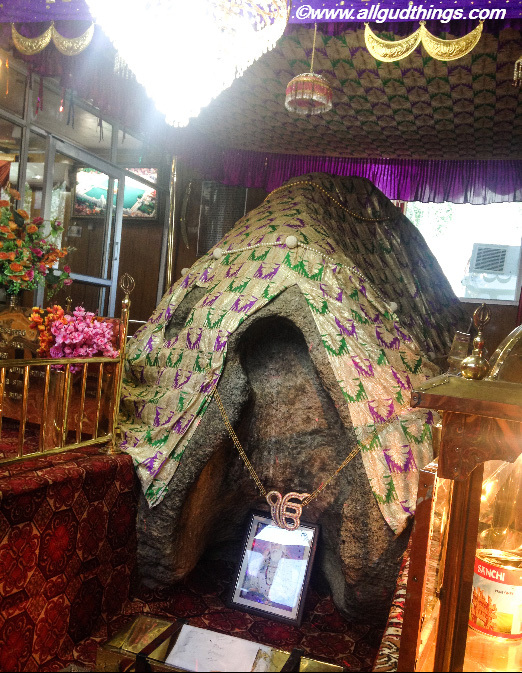 The shrine has a huge boulder with imprints of Guru Nanak Dev Ji and demon foot. There is an interesting story behind this shrine. During Guru Nanak Dev Voyage to Ladakh, he was meditating here and seeing him lost, the demon thought of attacking him. Demon rolled down the rock from the hilltop to kill the divine soul but as soon as the rock approached him, it got converted to soft molten wax. Seeing this, demon got more ferocious and he pushed the rock further with his feet with full strength. Instead of Guru getting injured, demons foot got injured himself. Soon, after this demon realized that he is a mortal soul and he stopped disturbing him. Tibetan Buddhists idolizes Guru Nanak Dev Ji as a Guru Gompa Maharaja and as Nanak Lama. 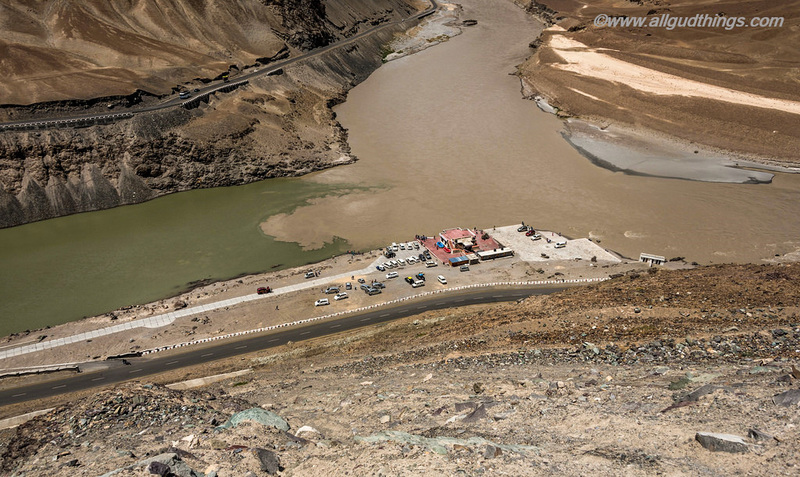 The confluence of river Indus and Zanskar on the Srinagar Leh highway is another mesmerizing sight in itself. It lies 6 km from the village Nimmu and is a photographer’s delight. 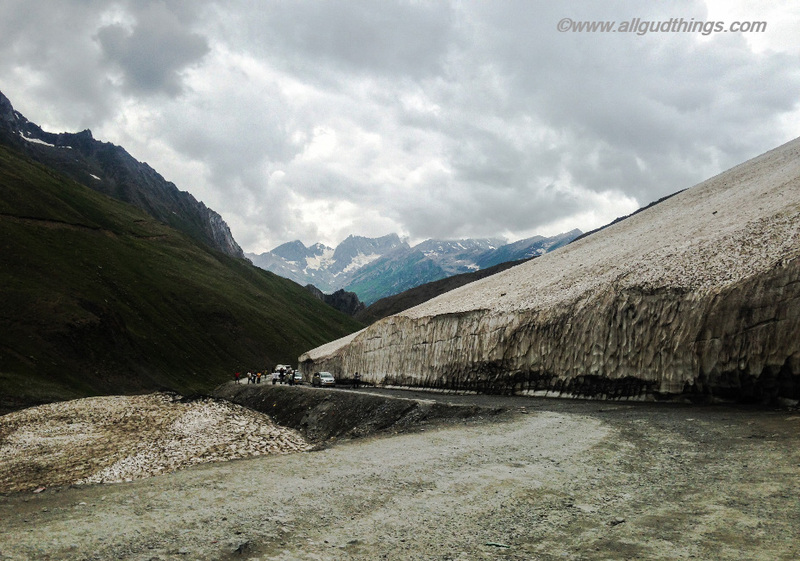 Apart from this, we mentioned earlier too, that the whole journey on Srinagar Leh highway is an attraction in itself. So, stop wherever you can, enjoy and get soaked in the beauty of the Ladakh. If you like it, Please do share it. 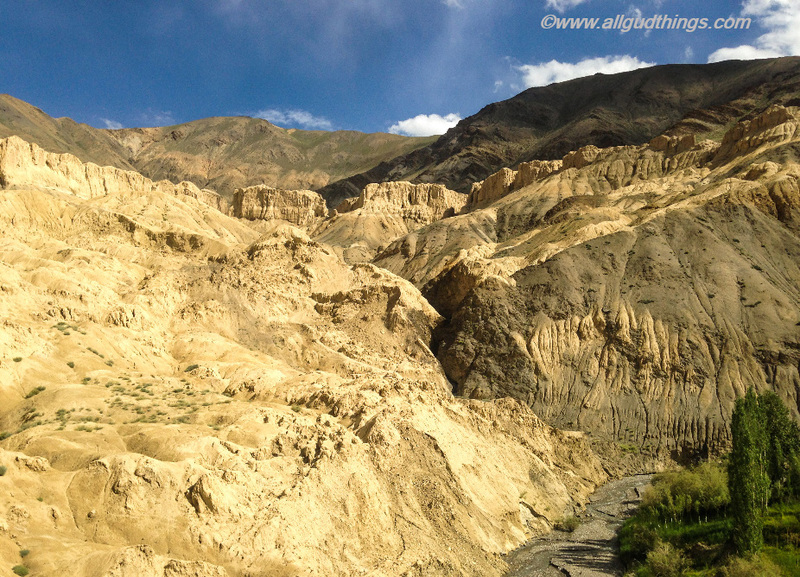 You can also read about our other series of Leh Ladakh below and the road trip to Spiti Valley. well described beauty of Srinagar Leh highway and pictures are so beautiful. Beautiful pictures and text. Awaken the desire to visit these places where you walked. Even the Kashmir tourism corp couldn’t have put together a better group of photos of this heaven in India. you guys rock as usual. Always a pleasure to read your posts! I love the thought of Gravity Hill. More over, I love the promise of the mountains of India. It seems like a promised land of adventure, blue skies and expansive vistas. Intermixed in all of this, there are ancient statues of Buddha How cool is that? I keep forgetting how big India is! Someday I’ll have to follow in your footsteps down the Srinagar Leh Highway. It really looks beautiful. Some of the mountains even remind me of Scotland. Ah the joys of a road trip. 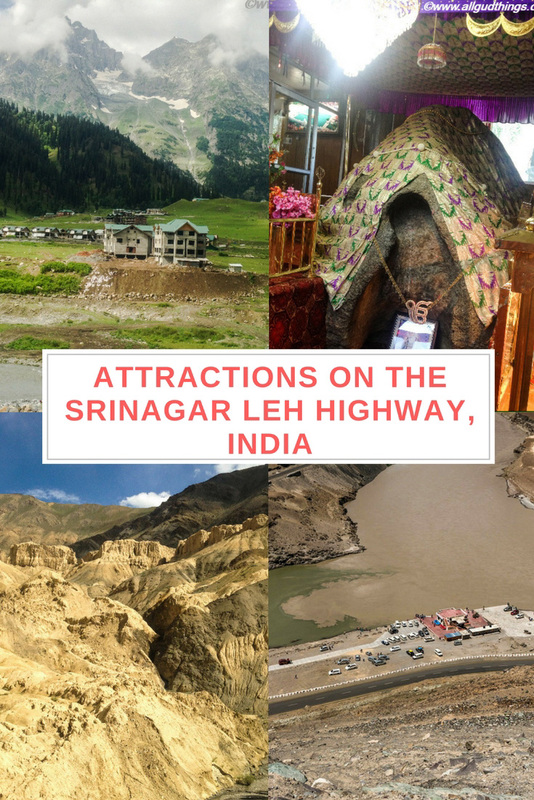 A very interesting account of the places to see on the Srinagar Leh highway, I have never done the same via road but it seems I missed a lot by taking a flight. Well those attractions are sure worthy of making plans of a road trip to Leh asap. The scenery is all stunning! That is the best thing about road trips in your own car – you have the freedom to stop wherever you want along the way! As you say though, there is a danger of stopping everywhere, and never arriving at your final destination! I love seeing where rivers meet, the difference in the colour of the water there is quite striking! Wow…looks like an amazing trip! I’ll be honest that I know very little about the climate/terrain of India, and a lot of the pictures surprised me. I didn’t think you would see landscapes like this in India, much less a glacier! I love the names of the places magnetic hill, gravity hill, moon hill! It looks like a beautiful trip , the mountains are amazing! The part about leaving your car in neutral to see if it moves on magnetic/gravity hill made me laugh! Did your car move? I don’t know when destiny will take me there! The monasteries, temples and optical illusion all sound so interesting. I want click pictures of all of them. The way the landscapes change are cool. They each have their own unique beauty. That one does look like it could be another planet or I guess the moon. What an amazing road trip! Ladakh has been super high on my list, the scenery just looks incredible. Your article is making me want to go now! Wow! These photos are beautiful and a 13 days long trip on the road seems like a really fun idea. That photo of Lamayuru is especially stunning! Nice collection of Travel photos. Traveling to this place would have been a great experience. Thanks for writing and sharing this article. Wow! The Srinagar Leh Highway is beautiful! And what a fantastic spot for a road trip. I think you picked the right amount of time too at 13 days, not too rushed and plenty of time to really enjoy the drive. I did not expect India to look like this! Some parts are so green! My favourite way of travelling is to rent a car and discover the countryside. Unfortunately, it is not always possible, but everything I did this it was amazing! Well done! I would have a very difficult time not stopping along the Srinagar Leh Highway to take pictures of all the beautiful vistas. The views look so majestic, and you have captured them well. Great job of highlighting the best places to stop and the most important things to see! Of course, when it comes to J & K, the road itself is a great experience inn itself. I would not want the journey to ever end. However, there are so many attractions strewn along the way which makes the journey so magical. My favourites here are the monasteries, the Drass war memorial and the Magnetic Hill.Definitely, a journey that is going to stay etched in memory for a long time. I have never thought of India as a place for road trips. I always think of it as such huge cities with impossible traffic and then I find posts like these. Wow, that glacier looks like an epic view. Gravity Hill looks like fun. I would love to try it. Loved this post. Anyone interested in the Himalayas know these places but glad that you put them together. As you know, I spend too much time in Himachal but could never make it to Kashmir. That rock cut Maitreya in Mulbekh is something I have been thinking about for a long time. Reminds me of the Bamiyan Buddhas. Great to see a clearer photograph of the same!